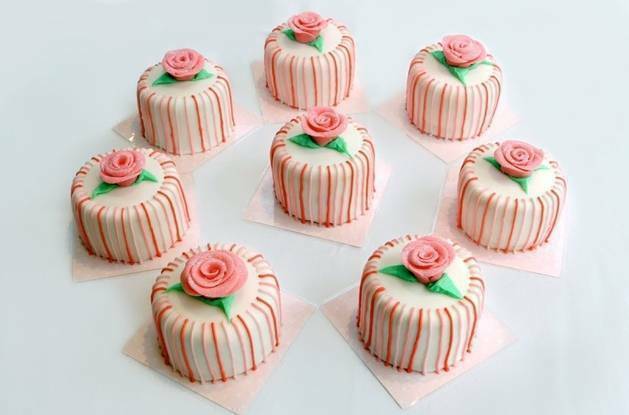 Oh, how I love mini cakes! 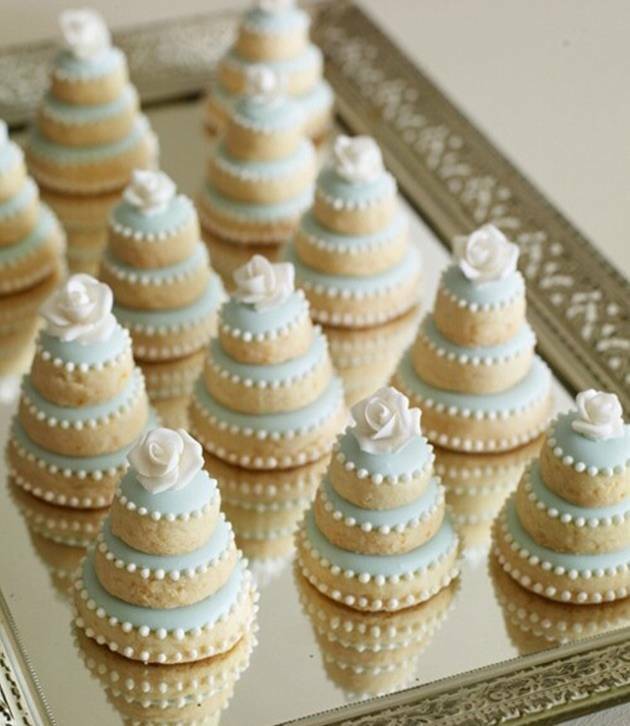 Perhaps it was the dollhouse I had as a little girl, or the miniature treats from Alice in Wonderland (one of my favorite books) that kindled a love for all things mini. 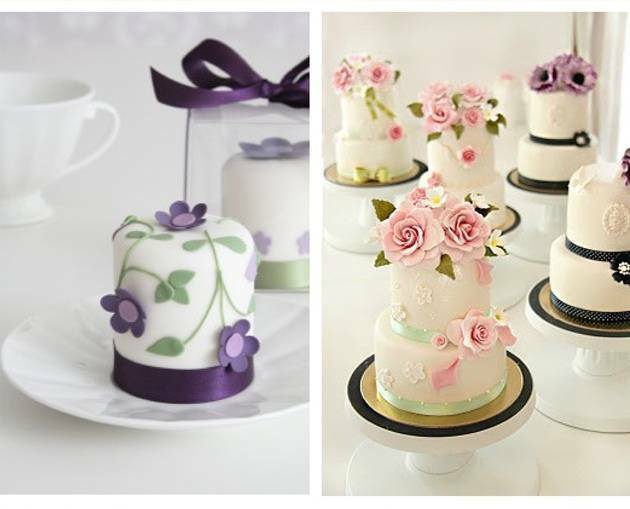 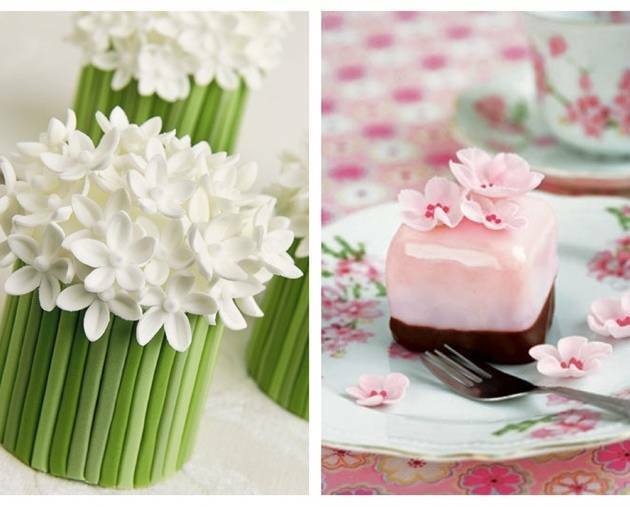 Individual cakes are a lovely surprise for your guests at weddings, bridal showers, or a tea party. 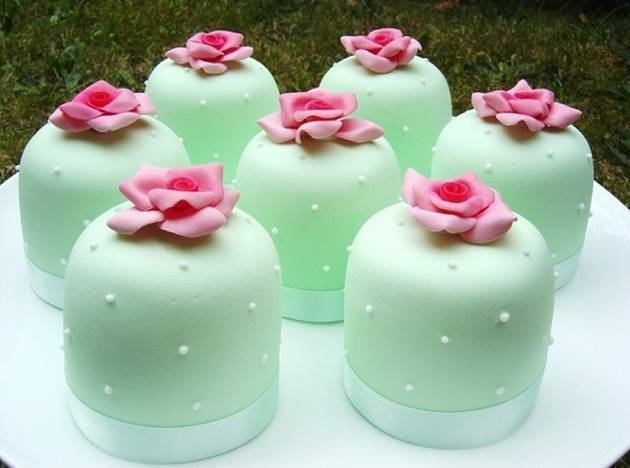 You may wish to create a “cake tower” made of mini cakes in place of one large cake. 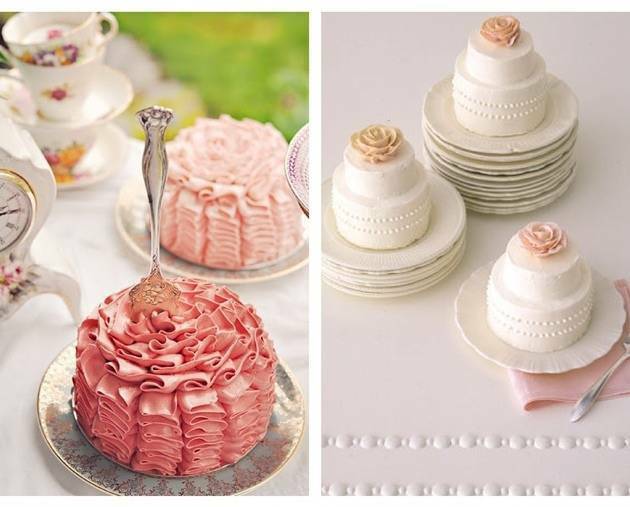 You can leave an individual cake at each place setting, or even box them and give them as favors. 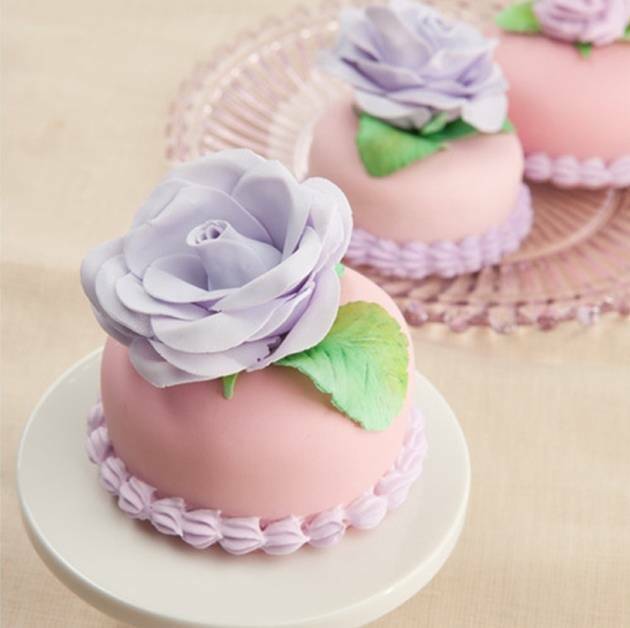 These mini cakes are anything but dull, and will make your guests feel extra special when they see they have a little cake made just for them! 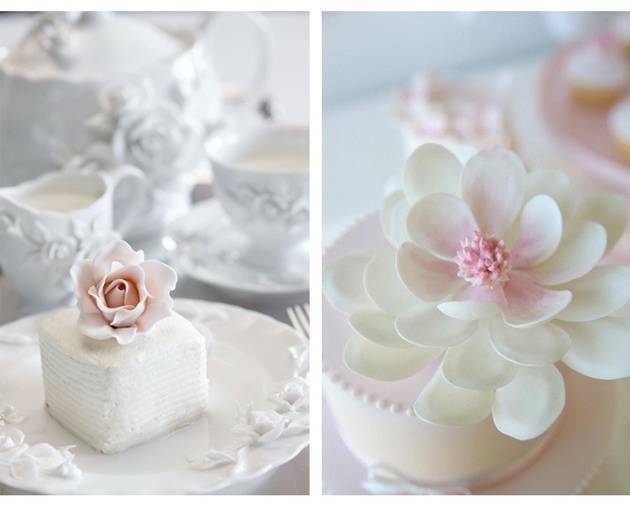 A friend just asked me to make cupcakes for another friend’s wedding reception. 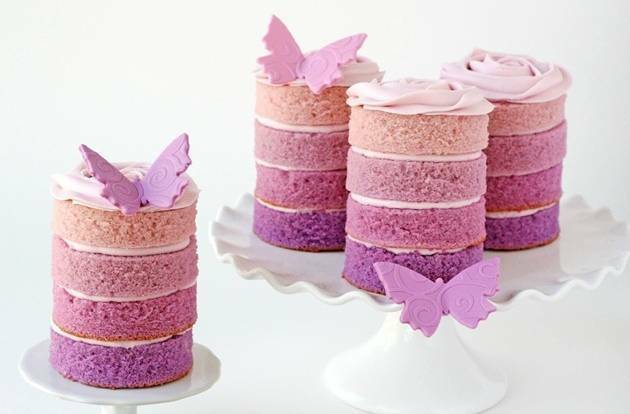 Her vision is ordinary cupcakes, but of course I feel like they should be much more elegant. 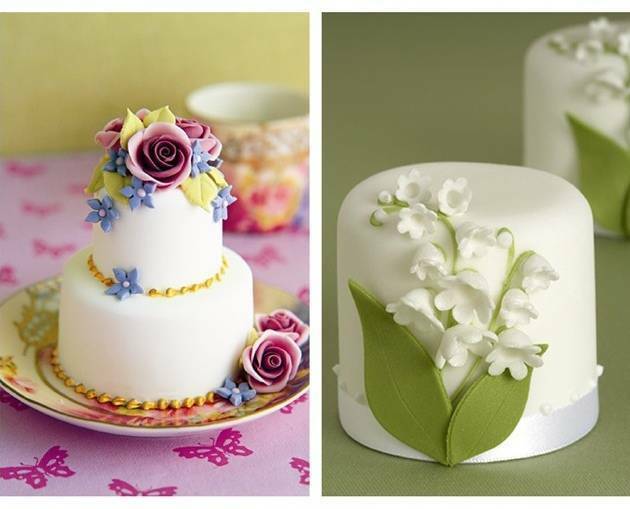 I’ve made regular fondant cakes but never tiny ones….so…..
How do you make these tiny gems? 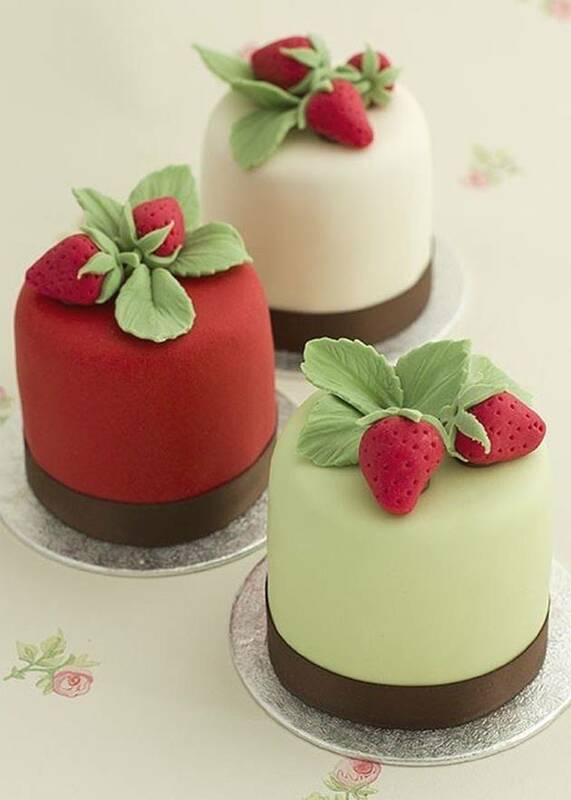 Are they layered, or a single piece? 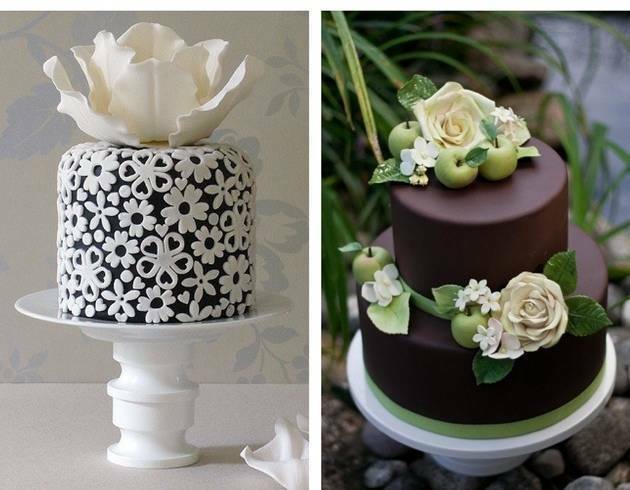 Are they covered with buttercream before fondant?